Despite the stronger economy, these companies have slashed thousands of jobs this year. The pink sheets have been flying at Barclays (BCS) ever since the financial crisis. The British bank revealed plans in May to ax another 19,000 jobs over the next three years. The latest wave of cuts includes the elimination of as many as 7,000 positions at its investment bank, which has a large presence in New York at the former Lehman Brothers headquarters. 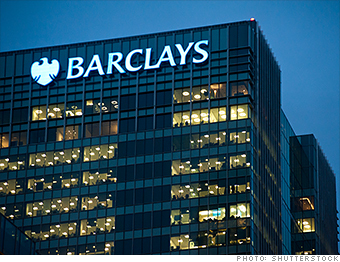 Barclays says the moves would help make the bank "leaner, stronger" and better balanced in the long run. As is often the case, investors cheered the cuts. Barclays shares popped over 7% on the day of the layoff announcement.